Quebec City is like a fairy-tale landscape with a castle, Le Chateau Frontenac, that stands impressively on top of the hill with fortified walls. This best-known landmark of Quebec is part of the Historic District of Old Quebec, a UNESCO World Heritage Site, which is made up of two parts: The Upper Town, sitting atop Cap Diamant with fortified ramparts, a citadel, and other battlefield grounds, and the Lower Town, which is around the area of Place Royale and the harbor. And it was down at sea level, Lower Town, where we began our culinary tour. 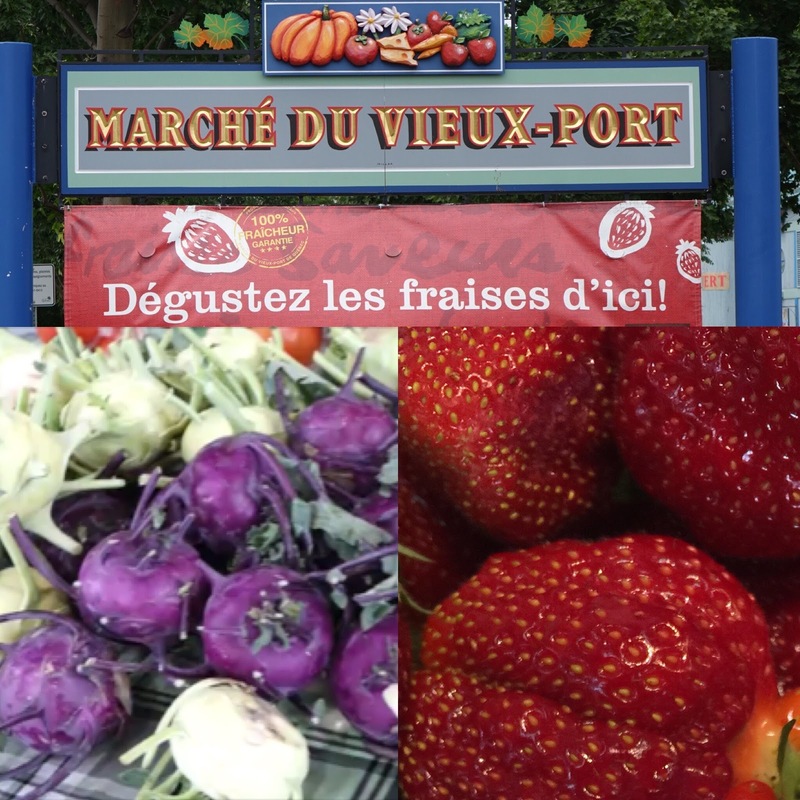 Prior to the organized culinary tour, I wandered through the Marché du Vieux-Port -- the city’s wonderful farmers' market, where I found the freshest vegetables and the reddest strawberries. Little did I know that the culinary tour would start at the Marché du Vieux-Port or I should have known because “Good cooking starts with good ingredients.” Our culinary guide explained that the strawberries and fresh vegetables come from Ile d'Orleans, and vendors come from all over Quebec to sell cheese, sausages and other delectable farm-to-market treats. It was at Les Canardises where I tasted the different types of foie-gras from the least to the most expensive: rillettes, terrines, mouse, and foie-gras. Our host at Les Canardises described how their foie-gras are made the traditional way, from the French countryside. 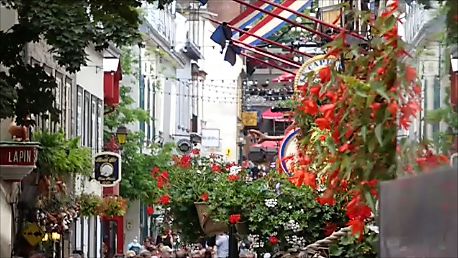 We continued to explore some of Quebec’s historic neighborhood before going to our next culinary stop. It was interesting to see a portion of Québec City's architecture seemingly stopped in time, combined with the growth and construction of contemporary buildings. Numerous buildings, churches, and homes made of stone, still stand today in all their vintage elegance. 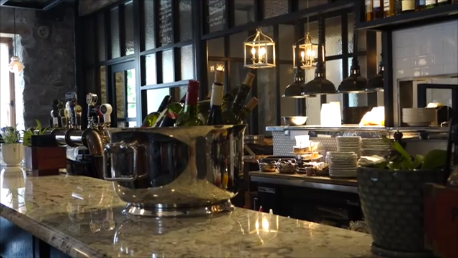 Our second culinary stop was at Tavern Chez Louise, an atmospheric restaurant with stone walls, open kitchen, and a bar with the expansive wine list. The chef prepared small bites for us that were not on their regular menu. 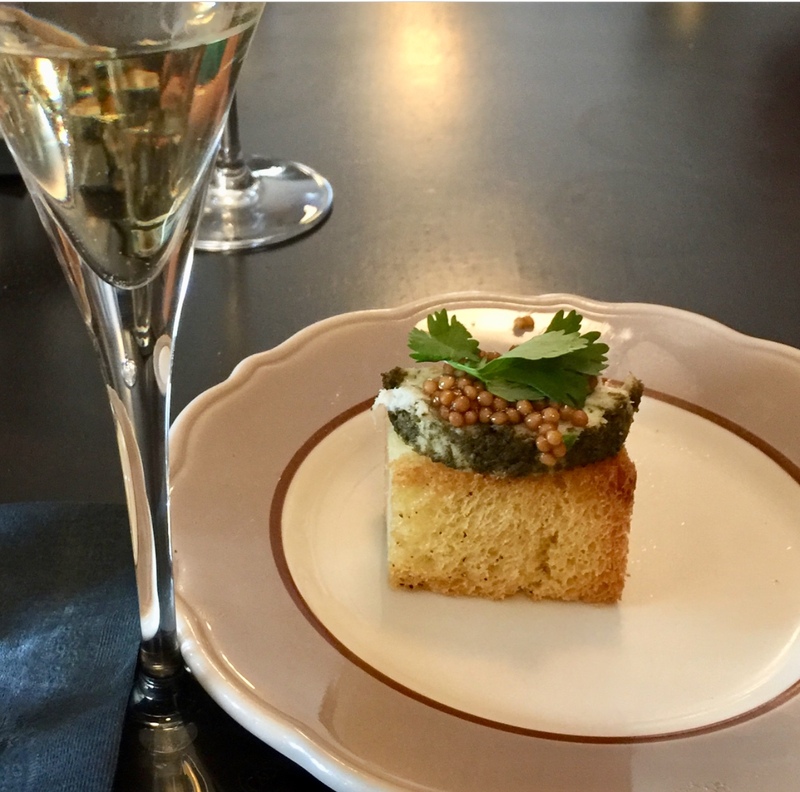 We sampled a delicate tasting ‘grouper and smelt fish terrine with mustard seeds’ paired with a locally produced white wine – Domaine Bel-Chas. We wandered through the streets crammed with churches, manor houses, museums and galleries, souvenir shops, elegant restaurants and inviting eateries before heading to Le Côtes à Côtes Resto-Grill, located in a building filled with history. Our host brought us some maple flavored dark beer, Fish n'Chips Mini Pogo w/ bacon and lemoned mayo to start with before bringing the house specialty: Wing’s Style Duck Drumsticks BBQ w/ maple sauce, which was slowly cooked in duck fat and spices for eight hours and deep-fried to get that ‘wing crunchiness’. 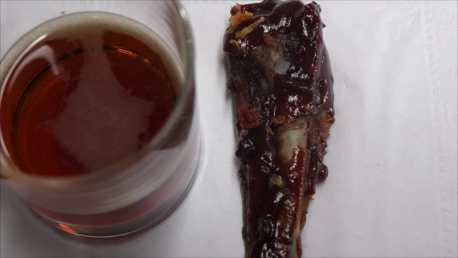 The duck drumstick was paired with local dark beer. We finished off with their own version of poutine and listened to our host talked about the history of the place where it was built by a rich landowner, the building was damaged by fire and cannon balls during the British conquest, rebuilt and became one of the first inns of the Place Royale in 1698. After consuming a heavy meal at Le Cotes a Cotes, it was time to take on the cobblestone streets of Quartier Petit Champlain. While the Chateau Frontenac loomed in the background, and the quaint streets were lined with stone building façades and pretty flower baskets, the crowd took away the fairy-tale atmosphere and took me back to the 21st century. The Quartier was very lively with street musicians, and the young crowd filling the tables of restaurants and bars. 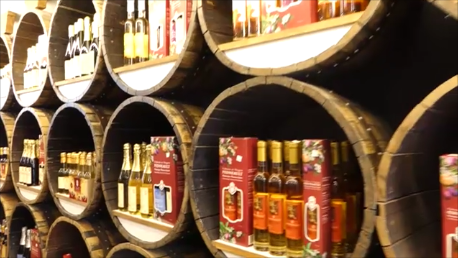 Joining the crowd at Rue de Petit-Champlain (perhaps the most popular street in Quebec), we headed to Cidrérie Pedneault to taste the marvelous iced cider said to be made from apples that ripen on trees planted in 1918 on the ancestral land owned by the Pedneault family. Not far from Cidrérie Pedneault was Petite Cabane à Sucre (Little Sugar Shack) where we watched a sugar-fairy turned a maple syrup into maple taffy. 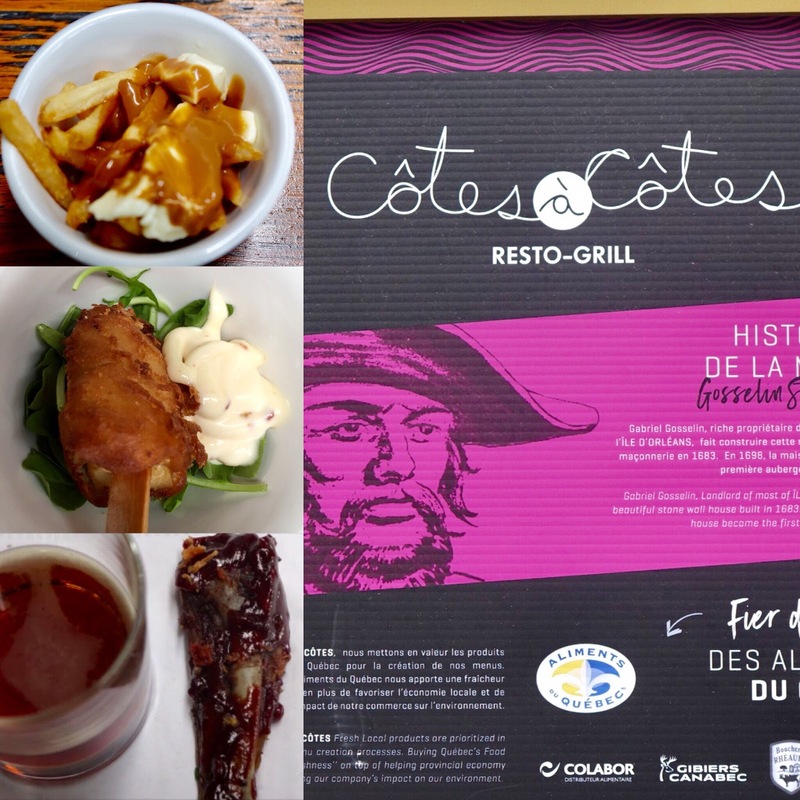 What a better way to end a culinary tour than to savor a true Quebecois treat. Before the Culinary tour, I began my day exploring the Upper Town. It’s easy to let one’s imagination run wild in the fairy-tale setting of Le Chateau Frontenac. I was ready to hear the story about the princesses who used to live in the castle, but the biggest surprise was to learn that the chateau was originally built as a hotel for the Canadian Pacific Railway to promote luxury tourism. It is now operated by the Fairmont Hotel. The fairy-tale landscape continued as I strolled along the Dufferin Terrace just outside the castle, overlooking the St. Lawrence River, Ile d’Orleans, and the Laurentian Mountains, and walked across the hotel to the Cathedral of the Holy Trinity and quaint shops and restaurants. On the way to the National Battlefields Park or the Plains of Abraham, the site of the historic battle where the French surrendered to the British, we passed some tents and an outdoor concert stage where for ten days, the city was celebrating its annual summer festival ‘Festival d’éte de Quebec’. I got a quick history lesson through the eyes of a local guide as we descended the hill and headed back to the Parliament building and visited more historical places like the armory, Place George-V park and ended in a wide boulevard passing through St. Louis Gate. The Grand-Allee was lined with trendy shops, sidewalk cafes and restaurants. The end of the street seemed to be the center of the summer festival or beer festival as it was lined with beer tents. After a five-minute bus ride through the Grand-Allee, I found it hard to believe that I was in the heart of a bustling European city...rather, Canadian city.